The 28th annual International Mammalian Genome Conference was held over the last week in Bar Harbor, MA. 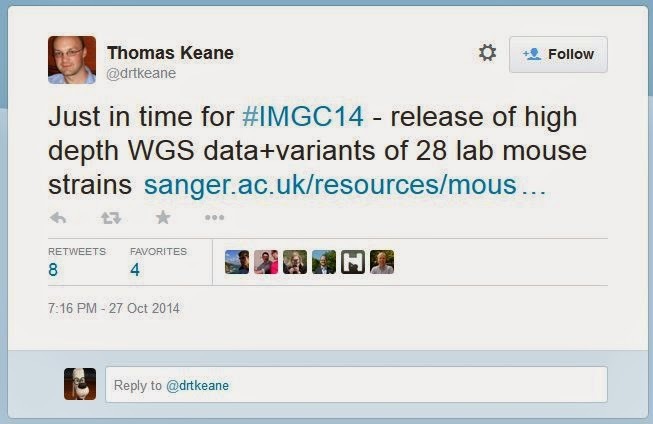 For the first time, the official conference hashtag #IMGC14 was introduced. Twitter shares plummeted 9% next day. Pure coincide? I do not think so! 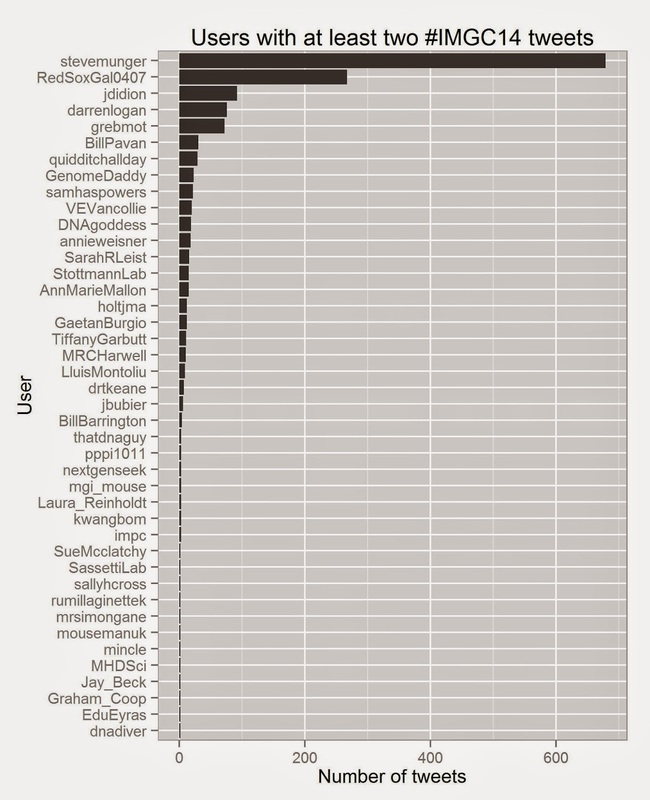 Totally, 79 participants contributed 1546 tweets. Guess who was the Twitter evangelist? 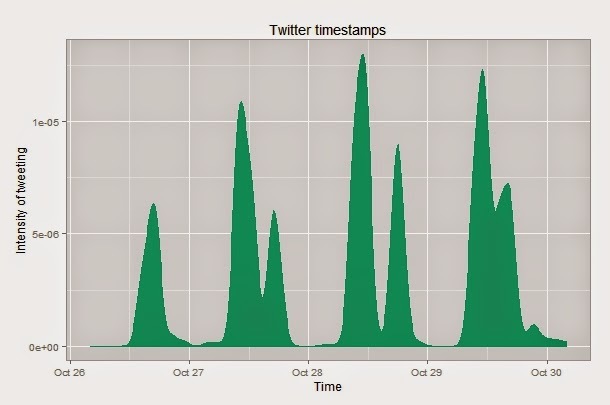 The distribution of tweets in time reveals when the lobster was served as a conference dinner. 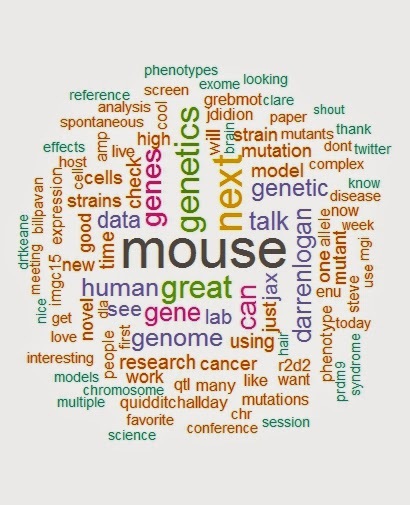 And finally, this is the #IMGC14 wordcloud. It was a great time. Thank you all! By the way, my official Twitter account is “simecek42“. 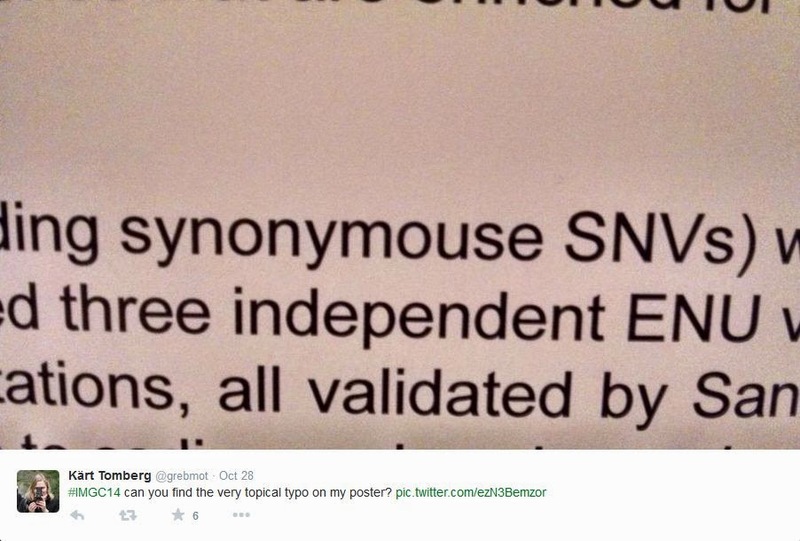 To leave a comment for the author, please follow the link and comment on their blog: Apply R.